Stamp catalogs are MUST HAVE items for all stamp collectors. A catalog contains information on how to identify, categorize, and organize your stamps and on determining a "catalog" valuation for your stamp collection. 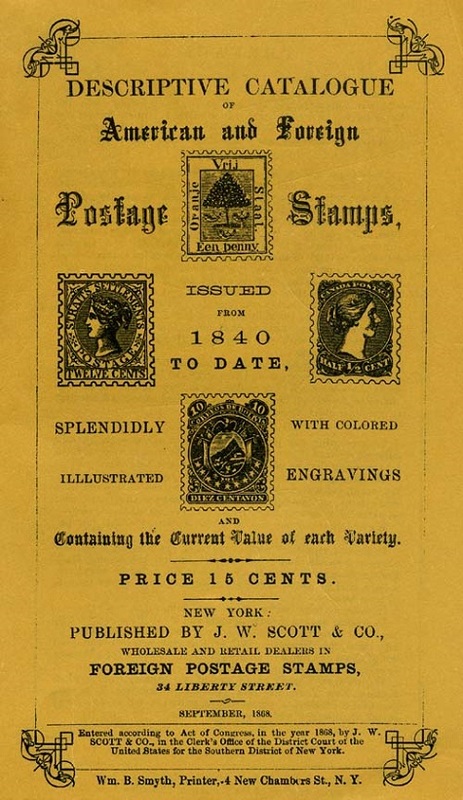 For further information on the stamp valuations printed in catalogs, please see the "Postage Stamp Values - What is Catalog Value" article in the Selling Stamps section of this website. Depending on what your collecting interest is, there are many different possibilities of which types of catalog(s) you may require for your collection. Catalogs are a necessary "requirement" of our hobby, and they have become horrendously expensive. 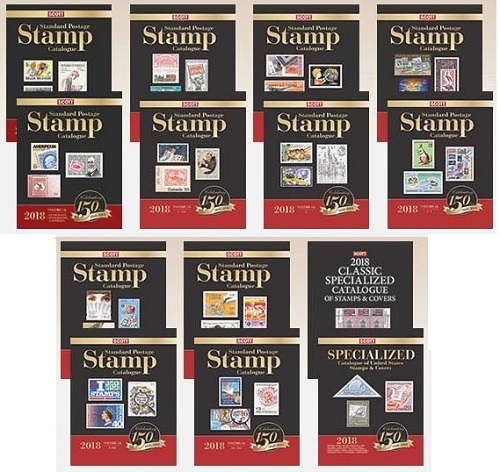 For my website content, my eBay Store, my US stamp collection, and for general worldwide reference, I have to maintain a set of the Scott Postage Stamp Catalogs, published annually, now in fourteen volumes, which retails for about $800 currently. With my specialties, I must maintain relatively current editions of the Michel and Zumstein catalogs. In addition to that there are books on specialty subjects, such as postmarks and plating. I also have Sassone, Gibbons, Yvert-Tellier, and Zagorsky catalogs, for which I do not maintain current editions. There are other catalogs that are so rare, such as some of the ones on Austrian Imperial postmarks and classical American stamps, that they only exist in advanced philatelic reference libraries. In a few cases, I have been able to borrow some of these, and, using Adobe Acrobat, have scanned them to electronic PDF files. Whatever one's interests are, one of the major expenses any collector / philatelist will incur will be the cost of their "philatelic reference library". Articles in this section will be about the various types of catalogs and the catalog publishers. Whether your interests are in collecting a specific country or countries, a particular thematic, or possibly the entire world, your particular needs should be addressed here. New articles will be added soon. Please follow the links at the upper right to each article. The first edition of the Scott Catalogue, published in 1868, is shown above. Those were truly the "golden days of collecting", when just about anyone could almost "complete" the World, for a very small investment.